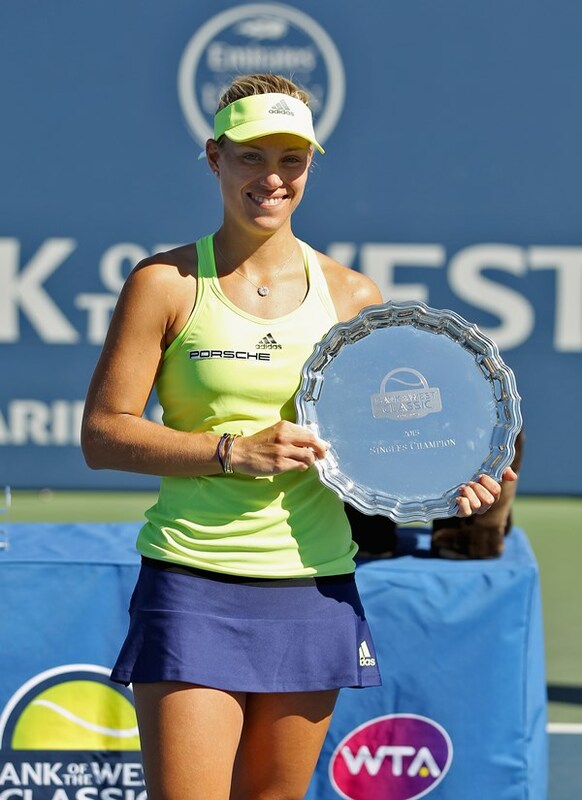 Angelique Kerber wins the 2015 Bank of the West Classic. Angelique Kerber defeated Karolina Pilskova to win the 2015 Bank of the West Classic. STANFORD, Calif. (www.mubadalasvc.com) – One year later, Angelique Kerber walked off stadium court at Taube Family Tennis Stadium as a champion. Capturing her seventh career WTA title and fourth of this year, No. 5 seed Kerber outlasted No. 4 seed Karolina Pliskova 6-3, 5-7, 6-4 on Sunday afternoon at the Bank of the West Classic. Kerber was appearing in her second consecutive tournament final after falling 7-6 (1), 6-3 to Serena Williams in 2014. Kerber has now won four of the six career matchups against Pliskova and two of the three meetings in 2015, including a final in Birmingham two months ago won by Kerber in three sets on grass. Sunday’s back-and-forth championship was similar, highlighted by lengthy rallies and numerous service breaks in a match that lasted two hours and seven minutes. Improving to 4-0 in finals this year, Kerber became the first German player to win the Bank of the West Classic crown since Bettina Bunge defeated Sylvia Hanika in an all-German final in 1983 played in Oakland. Appearing in a WTA-best fifth final this year and gunning for her 40th victory of the season, Pliskova was making her second career tournament appearance and had won all three of her matches this week in straight-sets. But on Sunday, Pliskova was hindered by 10 double faults and a series of unforced errors. Trailing 3-2 in the first set, Kerber stormed back to win the next four games and take an early lead. Pliskova led the second frame 3-2 before a sequence of six straight service breaks, only to hold serve for a 7-5 win. In the deciding set, Pliskova held a 3-2 lead before Kerber ripped off four of the final five games. Kerber is only the third different tournament winner in the last five years, joining Williams (2011, 2012, 2014) and Dominika Cibulkova (2013). The Bank of the West Classic, a Premier WTA event, features a 28-player singles draw as well as a 16-team doubles draw. The event is owned and operated by IMG and serves as the opening women's event of the Emirates Airline US Open Series. The list of past champions of the event reads like a Who's Who of women's tennis including Serena Williams, Lindsay Davenport, Billie Jean King, Chris Evert, Martina Navratilova, Andrea Jaeger, Monica Seles, Martina Hingis, Venus Williams and Kim Clijsters. ABOUT THE BANK OF THE WEST CLASSIC: The Bank of the West Classic is the longest-running women-only professional tennis tournament in the world and is the first stop of the Emirates Airline US Open Series. 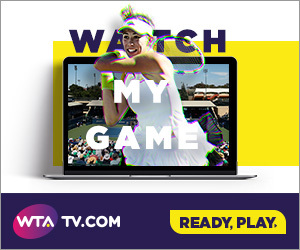 Owned and operated by IMG, the WTA Premier event features a 28-player singles draw and a 16-team doubles draw with total prize money of $731,000. Held on Stanford University’s campus at Taube Family Tennis Stadium since 1997, former champions include: Billie Jean King, Chris Evert, Martina Navratilova, Andrea Jaeger, Monica Seles, Martina Hingis, Lindsay Davenport, Serena Williams, Venus Williams and Kim Clijsters.